The Oasis is an international team partnering with churches, both locally and globally, to walk alongside refugees, offering them the Living Water of Jesus Christ and moving with them toward an intimate relationship with Him and His people. We are a diverse multinational team. We’re assisted by volunteers from Austria and refugees as well. The focus of the team at the Oasis is to reflect the heart of God to refugees and offer them the hope, life and refuge that can only be found in Jesus. Working with Austrian and ethnic churches in the Vienna area, the team seeks to equip those who come to faith to be able to share Jesus with others, including their own people, both in Austria and in their countries of origin. Some of the ministry opportunities include: an evening coffee bar, evenings where we explain the gospel, clothing room, the use of the Jesus Film in the different languages represented among the refugees (available in over 40 different languages), distribution of Bibles and Christian literature in the mother tongue of the refugees, children’s, and women’s ministries, personal small-and-large group Bible studies, discipleship relationships, visiting refugees, relief ministry (meeting some of the basic needs of refugees), practical assistance (filling out forms, transportation for medical help), emergency assistance, and helping maintain the Oasis building. 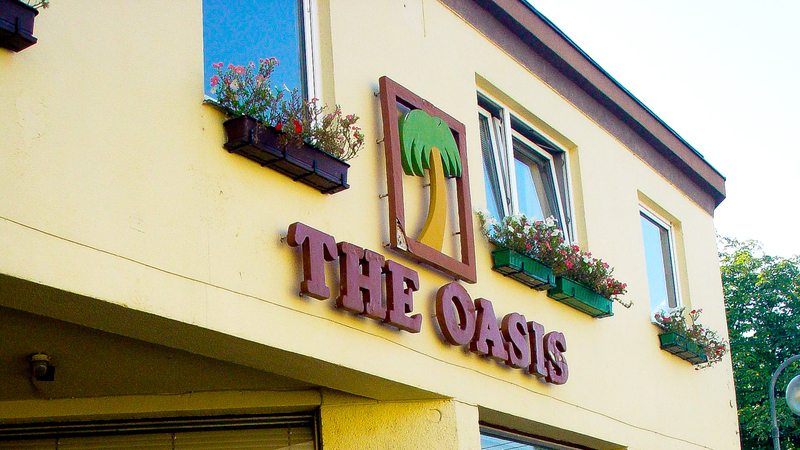 If you’d like to read more updates from the Oasis team, check out our blog by clicking here.